In my combined first and second grade classes, children’s self-initiated learning took place during Choice Time. These concrete experiences served as a background for gaining new insights and understandings. It isn’t important which things are offered but vital that science is a big part of young children’s lives. The resulted learning is immense. Science can promote curiosity, discovery, investigation, and experimentation resulting in extending children’s vocabulary, language, and concepts about their world. It offers opportunities to develop rational and critical thinking, and the skills of problem solving, comparing and contrasting, classification, and observation. There are also opportunities for significant reading and writing. We accepted anything that we could properly care for and the children could hold and catch. There wasn’t often an aquarium because interest was high during the talks and preparation but waned after the fish were introduced. It happened with anything that could not be held. 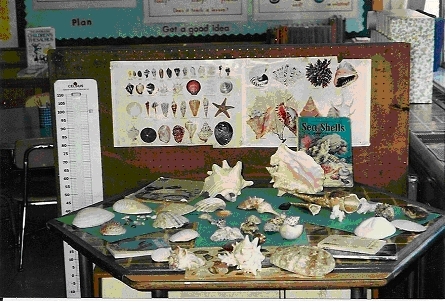 There were also collections, such as shells, fall seeds, and birds’ nests and feathers. While some sorted and classified shells, others tried to guess what properties were involved. A big display of fall seeds emphasized life cycles and how they travel through wind, animals and people. We read a book about various birds’ nests to help in identification. Observing the various birds’ feathers, children tried to determine what parts of the bird the feathers had originated from and what purpose each had. With the help of books in the afternoons, children learned more about the exhibits in the science center. For instance, books could be about the differences between various nests, a toad and a frog, a butterfly and a moth, a turtle and a tortoise; the differences between instinct and learned behavior. For insect study, there was a chart showing the five parts – the head, the thorax, the abdomen, two sets of wings and six legs. Then we looked and searched for small things to see if they were insects or not. What a classification feat that was! Raising mice each January, we became involved in a study about genes and heredity. It was most exciting each time we had a new litter – which was very often. We transferred the knowledge about the mouse genetics to other animals and people. During the spring, a variety of seeds were planted from those found in fruits and vegetables, such as apple and melon seeds and the eyes of potatoes plus an assortment of bulbs and flower seeds. Concepts gained during science activities not only kept their minds active but provided an extra basis for abstract thought that would be a benefit throughout all academic areas. And there’s no limit to young children’s vast enthusiasm for learning. In my combined first and second grade classes, children freely participated in the art center during Choice Time. Readily available materials bought with school supply money included: all types of paper; scissors, pencils, crayons, and felt pens; masking tape and scotch tape; staplers; craft sticks; string and yarn; wallpaper books; paint; rulers; and plasticine. Then parents supplied a huge variety of junk materials. It has been long understood that when children are participating in art, they are in a process that includes nourishing expression, an acuteness of the senses, experimentation and risk-taking, developing imagination, and creative development. However, in addition to these assets, it’s also another way of communicating. Much of art for the young child involves exploring a wide range of materials. It should include the process that is emphasized. When children were given directions for making a product, like making a present for their parents, I didn’t consider it art. It may have been following directions and the product important, and it may have been very attractive and artistic and a valuable activity in itself – but it wasn’t art for young children. It wasn’t using materials creatively. 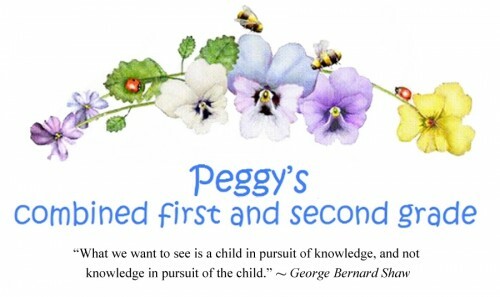 One’s own creations allow a child to thrive and grow emotionally and cognitively. Young children’s initial art experience is pure investigation, but as they grow older and have more involvement, the maturity of their art unfolds. With various materials, there were three stages while making collages, working with clay, and with different types of painting. At first there’s pure exploration with sometimes smearing and dabbling. Sometime in the middle of messing around, an idea begins to take place. This stage is finally replaced with attempts to replicate a preconceived idea. When participating in art activities using their own ideas, children are learning a tremendous amount. Using many materials, they are learning about similarities and differences, transformations and reversibility, and opportunities for overcoming egocentricity during any type of construction, constantly seeing all sides of a structure. So, they have opportunities to develop the very same cognitive traits necessary to succeed in academic areas.